A 4,000 sq ft mixed-use scheme on a highly constrained site in Earl’s Court, London. The site, currently occupied by a failing light industrial building, is almost entirely landlocked. 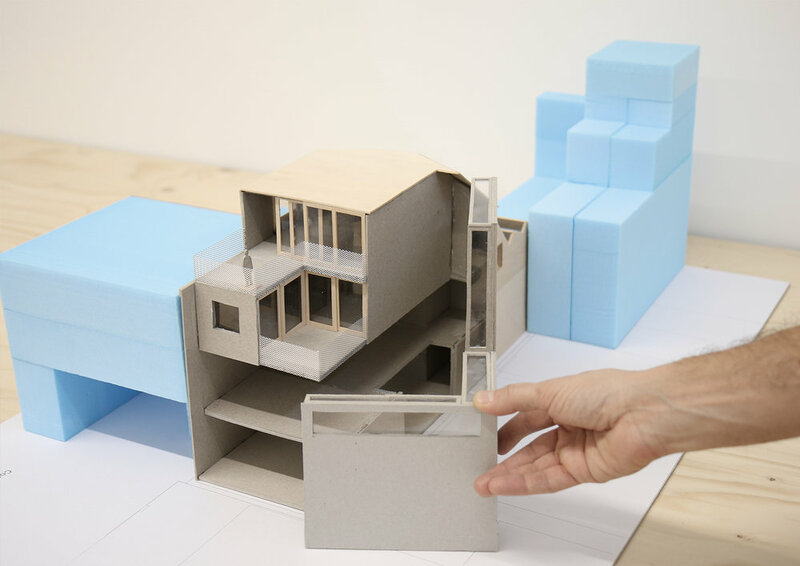 The challenge with our proposal, a mix of office and living space, is to introduce good levels of natural daylight into a ‘blocked-in’ building. This, together with considerations of scale, rights to light and views, has informed the resulting massing. 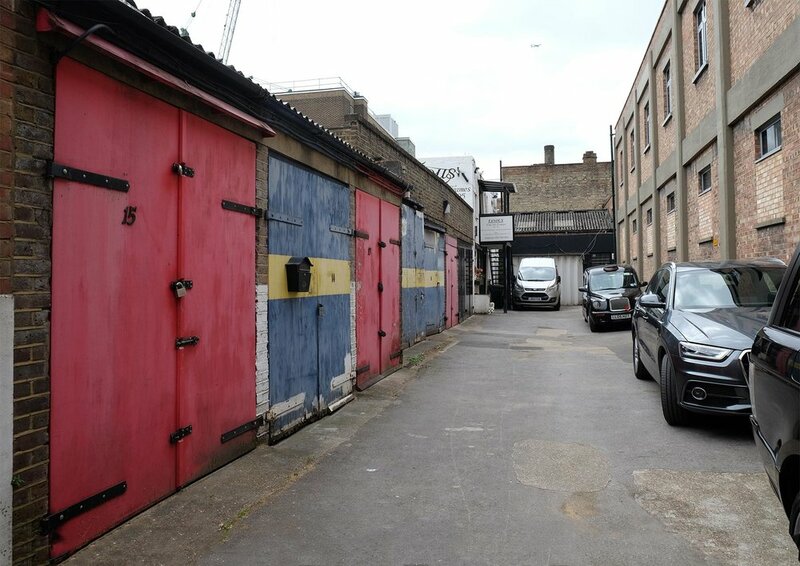 The South-East facing elevation – the only elevation visible from street level, takes cues from adjacent garages and the slightly random and disorganised character of Lillie Yard itself. The seemingly random arrangement of windows on the façade serves to create an ambiguity of scale, blurring the boundaries between the commercial/ office space arranged over ground and first floors and the residential space located above.